Let’s see what Dell has come out with now, with the Dell Latitude XT2. It goes without saying that is machine has some incredible capabilities. It is the first PC that has a multi touch screen technology built in that allows a user to use natural moves such as a tap or a pinch to scroll, pan, rotate and zoom. There is a lot more to this computer, so let’s take a look at the specifications, all of the features, its full capabilities and see if the Dell Latitude XT2 is the machine that you have been looking for that meets all of you needs and perhaps has a few extra special features. The Dell Latitude XT2 is promised to make people change the way that they think about computers. This is to be the very first tablet that has multi touch capabilities. 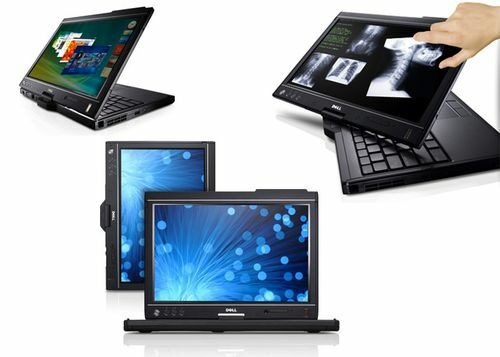 The Dell Latitude XT2 has a Centrino 2 platform and DDR 3 memory; this gives a user a maximum of 5GB. The frame work of the Dell Latitude XT2 is just about the same as the first XT; there are only very minor changes such as moving the logo design in the corner of the machine and having three short cut buttons as opposed to four on the screen. It appears that all of the work and all of the exciting new features are on the inside of the4 Dell Latitude XT2. The screen offers you a resolution of 1280 by 800 on 12.1 inches and is nice and bright. Now, the biggest, most exciting feature of the Dell Latitude XT2 is the fact that this is a touch screen. This feature is in correlation with its DuoSense technology which allows it to be multi touch. Now, the first XT did have some multi touch capabilities, but that was only after a user took the time to download drivers. 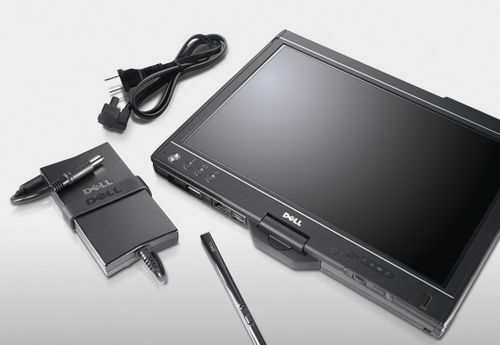 With the Dell Latitude XT2, you are given this immediately. Rather fun to use, all normal and natural two finger gestures will prompt commands such as panning, zooming, scrolling and rotating. You do not have to put a lot of pressure on the screen at all. How great is that? One interesting feature is that you can rotate images with a spinning like motion and they instantly respond. This can be practiced in your photo gallery until you get the hang of it, but it is fairly easy to learn and does not take that much time at all. Once you spend just a bit of time making the particular gestures, you will have no problem surfing around the web or zooming in on satellite images and maps. The possibilities are quite endless. You can navigate around the screen with by only using one finger also with just a very light tap. And you can also use one finger from each hand, as you perform two different tasks. One element that you may want to keep in mind is the battery life of the Dell Latitude XT2. Some users find that it is a bit too short. While what you actually do on the computer and how you take care of your battery will make a difference in its life, it has a maximum life of eleven and one half hours, however many users find that it lasts about seven hours on its six cell or nine cell battery. Opting for the optional four cell battery may help with this element. Get the New Sony VAIO P Series Lifestyle!